We believe in the power of branding. The importance of messaging. Honesty. Our logo goes to the heart of who we are and how we act. 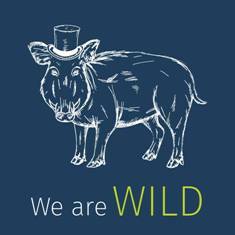 We think everyone has a WILD spirit. An inner boar. An untameable personality representing what makes us all unique, and when unleashed it gives us the confidence to fearlessly confront any challenge. It’s big, bold and brave. Offering creative design as well and the production and installation of retail branding, interior decoration, stadia dressing, pop-up experiences, fan engagement collateral and much more, we are here to help you connect with your fans.